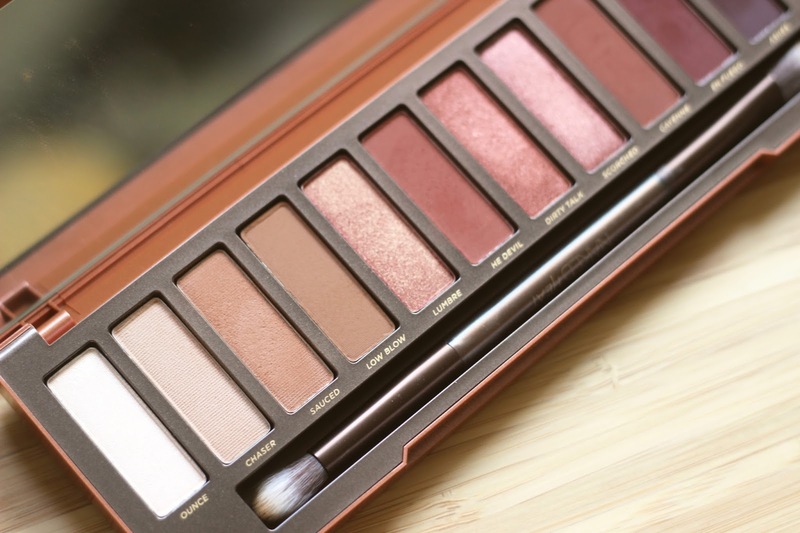 Það hefur eflaust ekki farið framhjá neinum að nýjasta viðbótin í Naked fjölskyldu Urban Decay er komin til landsins, Naked Heat* pallettan. Af öllum Naked pallettunum sem hafa komið út er þetta pallettan sem hefur heillað mig mest, 12 hlýjir litir í alls kyns áferðum. Að mínu mati er formúlan í þessari pallettu sú besta af öllum pallettunum; augnskuggarnir eru litsterkir, blandast eins og draumur og auðveldir í notkun. Eini liturinn sem tikkar ekki í öll boxin er sá ljósasti, Ounce, hann mætti vera betri þar sem hann sést varla á húðinni. Ef ég fengi að ráða þá myndi ég líka skipta næstljósasta litnum, Chaser, út fyrir einn góðan karrígulan, þá væri pallettan fullkomin! Yfir allt er ég mjög ánægð með þessa pallettu, gullfallegir litir, góð blanda af möttum og sanseruðum skuggum og að mínu mati eru þetta langbestu pakkningarnar hingað til! Húrra fyrir ykkur Urban Decay - þið stóðuð ykkur vel. 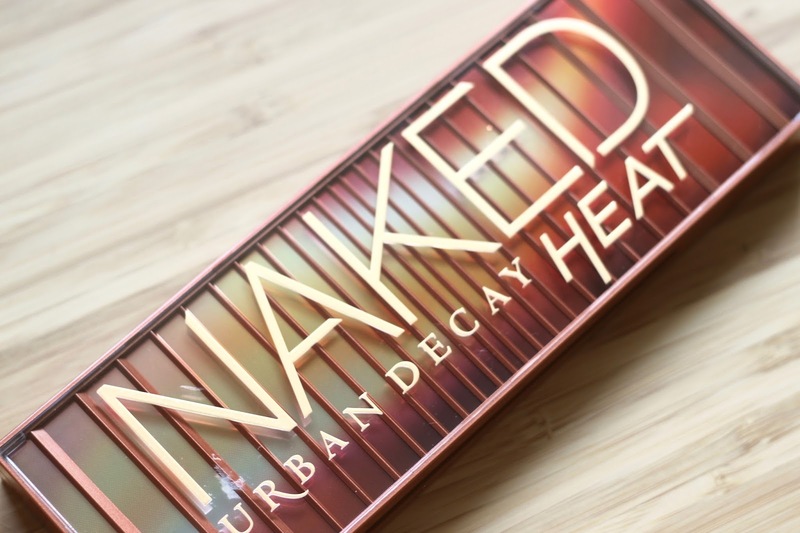 // This summer Urban Decay released their newest addition to the Naked family; the Naked Heat palette. 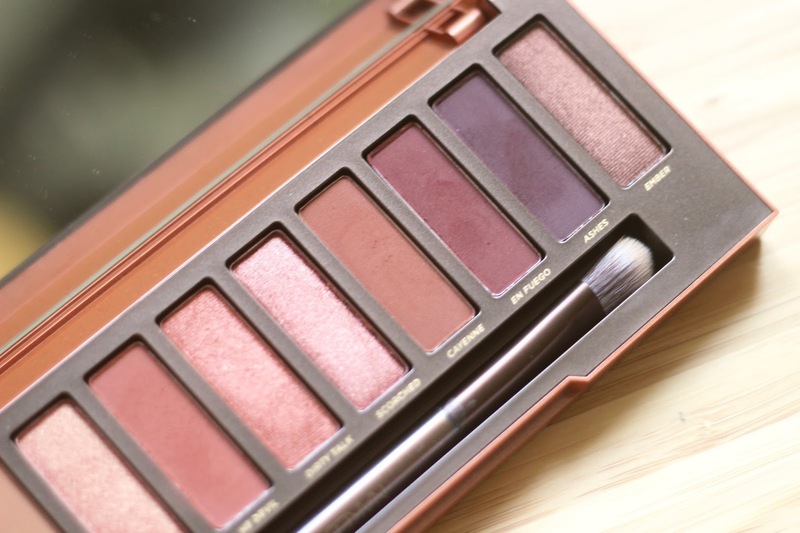 Out of all the Naked palettes this one is definitely my favorite, 12 warm shades in all types of finishes. 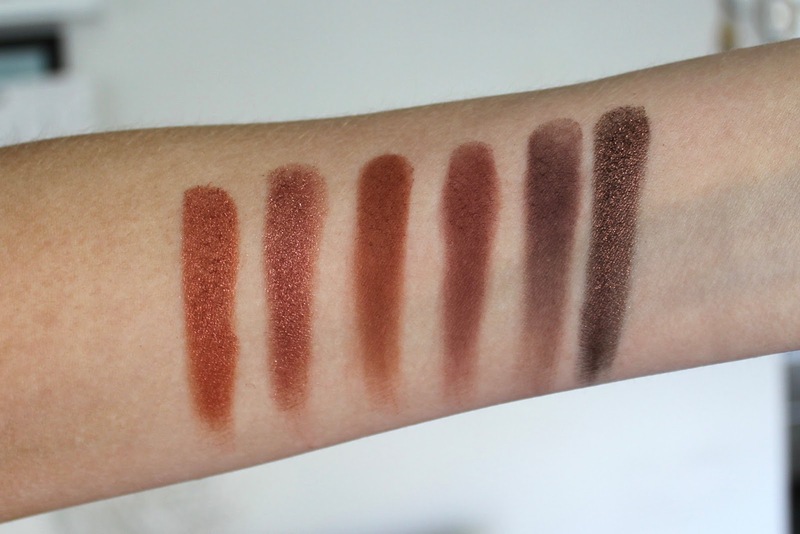 I feel the formula in this one is the best out of all the palettes; the eyeshadows are very pigmented, blend like a dream and are easy to use. 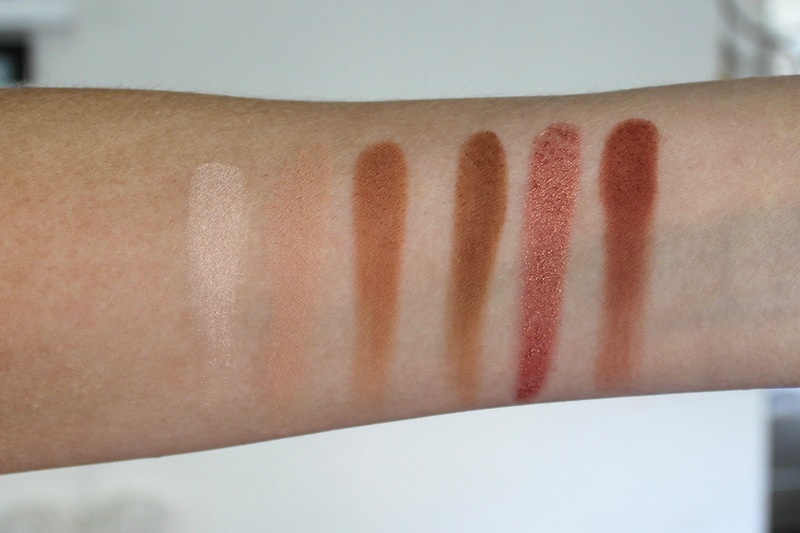 The only shadow that didn't tick all the boxes is the lightest one, Ounce, as it barely shows up on my skin. If I'd get to choose I would've also switched out Chaser for a yellow curry-ish shade., then it would be perfect! 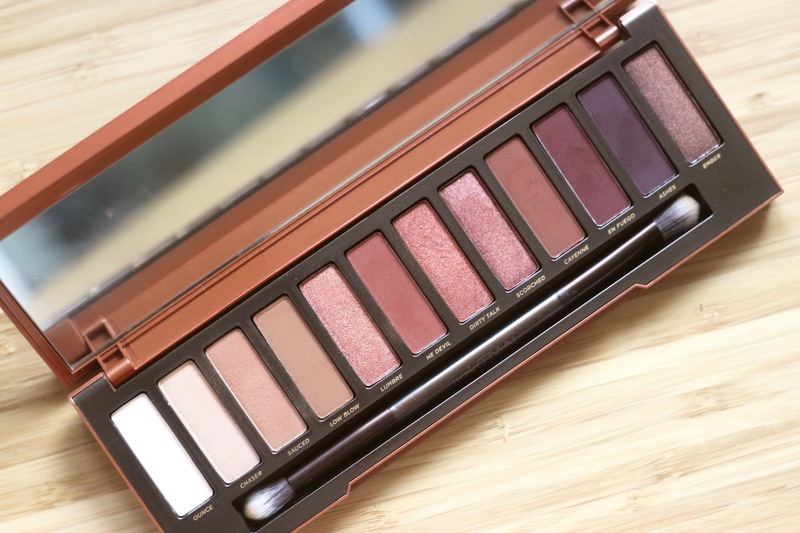 Overall I am very pleased with the palette, stunning shades, a good mix of mattes and shimmers and this is definitely the best packaging out of the Naked palette bunch. Hurray for Urban Decay - you did well.